Washington, D.C. (May 9, 2014) – Rep. Frank Wolf (R-VA) today introduced legislation to reauthorize the U.S. Commission on International Religious Freedom (USCIRF), which he helped establish in 1998 as the author of the International Religious Freedom Act (IRFA). The commission was last reauthorized in September 2011. USCIRF is an independent, bipartisan federal government advisory body charged with monitoring the status of the freedom of religion or belief abroad and providing policy recommendations to the president, Secretary of State and Congress. As recent as April 30, 2014, the USCIRF released its annual report which documented religious freedom violations in 33 countries and made a number of policy recommendations, including that 16 countries and recommended that the State Department add eight more nations to its list of “countries of particular concern,” defined under law as countries where particularly severe violations of religious freedom are tolerated or perpetrated: Egypt, Iraq, Nigeria, Pakistan, Syria, Tajikistan, Turkmenistan, and Vietnam. USCIRF also recommended that the following eight countries be re-designated as “countries of particular concern,” or CPCs: Burma, China, Eritrea, Iran, North Korea, Saudi Arabia, Sudan, and Uzbekistan. for particularly severe violation of religious freedom. The report also examines U.S. international religious freedom policy and recommends way to strengthen U.S. engagement and promotion of religious freedom. Wolf said he looked forward to swift passage of this critical legislation. Representative Wolf deeply cares and has worked diligently to protect the human right, Freedom of Worship for all people in the world. In January 2013 I reintroduced bipartisan legislation to create a special envoy within the State Department to advocate on behalf of vulnerable religious minorities in the Middle East and South Central Asia. In countries like Iraq and Egypt, ancient Christian communities are being driven from the lands they have inhabited for centuries. In Iran, Baha’is are imprisoned and in some cases executed simply because of their faith. In Pakistan, Ahmadi graves are desecrated. In Afghanistan, a country where America has sacrificed greatly in both blood and treasure, the most basic right to freedom of religion or belief is not recognized in the constitution. This is but a snap shot of the grave challenges facing these communities. In January 2011 following a Tom Lantos Human Rights Commission hearing during which sobering testimony [was heard] about the challenges facing religious minorities in Iraq and Egypt, Wolf introduced the special envoy, bill – along with Democrat Congresswoman Anna Eshoo, who is of Armenian and Assyrian heritage. The hearing predated the so-called “Arab Spring.” But arguably, the dramatic changes in the region have only made these communities more vulnerable. Over 20 special envoy posts exist to protect a range of groups and interests, but none is dedicated to the plight of Middle East religious minorities. On September 18, 2013 the House again overwhelmingly passed the Special Envoy vote by a vote of 402-22, but it has languished in the Senate. Wolf is actively working to press for swift Senate action. Each day that passes without a dedicated special envoy to advocate for these besieged religious communities, America’s first freedom, religious freedom, is under assault around the globe. In countries where Christians must deal with harsh persecution, many are silenced by fear and abuse. The oppressors wish to hide the atrocities from the international community. Those standing up for religious rights and revealing the abuse are threatened to be silent or face severe persecution—death threats, pressured to convert to Islam, beaten, tortured, shot at and even lose their lives. It is not uncommon for them to be fired from their jobs when the employer is pressured to do so by the persecutors. And to further strike fear, their families likely experience all of the above. The growing radicalism in these countries has forced many religious minorities to live in fear. In Pakistan, where false blasphemy charges have escalated and are abused, Christians asks us, “What has happened to humanity and what have we done to deserve such treatment?” (John 15:18, John 15:20) Simply being in disagreement with the prophet of Islam can wrongfully be proclaimed as blasphemy, denying their freedom of worship. As seen in recent cases, subjecting them to possible death sentences has also intensified. Too often and now more frequently, Pakistani citizens trying to make a difference by promoting peace and religious equality are forced to flee the country to spare their lives and that of their families. While Pakistan loses one more of the brave few willing to stand up and be a voice for Christian rights and that of other religious minorities. In the Bible there is much written about the oppressed and persecuted. Jesus had more to say about the poor than any other group of people. He had great concern for this critical issue and taught us that we should too. As American Christians, if we are earnest about our faith, then we should be compelled to aid the oppressed in the world. Being blessed by God living in a nation of great freedom, should we not use this gift and ability to be a voice for those who don’t? VOP and persecuted Christians appreciate the work of Rep. Wolf. May the Lord bless him in his efforts. Engage and inform others on the topic of Christian persecution. And get them praying for our suffering brethren! Tajikistan: Nadia, a recent Christian convert in Tajikistan, is experiencing severe persecution at the hands of her Muslim family members. Nadia converted from Islam to Christianity in 2011 and was then baptized. After her mother found out, she beat Nadia, burned her Bible, and tore her clothing. Nadia tried to run away, but her brothers found her. They shaved her head, gave her a public beating, and then locked her in the house. When she ran away a second time, they unfortunately caught her again. Pray for the Lord’s protection upon Nadia, asking Him to direct her to a safe place of refuge and provision so she can receive necessary help and healing (2 Corinthians 1:10). May Nadia sense His loving presence with her wherever she goes, encouraging her to remain strong in the Christian faith. Please also intercede for her family members who clearly need to be delivered from spiritual darkness…and brought into the light of God’s truth and salvation. After the Soviet collapse in 1991, civil war broke out with various regional warlords fighting for power until 1997. Secular national forces prevailed, and they continue to shape political and religious policy. Freedom of religion exists in Tajikistan, but barely. Religious teaching, publishing and proselytism are very difficult if not illegal. Registering churches is also very difficult. In April 2009, a restrictive new Religion Law was implemented. Among other items, the law imposes limitations on where and how many mosques can be opened, imposes state censorship of religious literature and enforces state restrictions and control on religious education. However, government officials say these limitations do not restrict religious activity. The Christian population has been massively reduced by emigration. It was and remains largely Russian Orthodox. The civil war and its aftermath drove out the majority; most of the remainder are cultural/nominal Christians with little desire to share the gospel with indigenous peoples. Although Islam is the religion of 94 percent of the population, only a small fraction practices “pure” Islam. Most are influenced by folk superstitions and Zoroastrian beliefs. Mosques sprouted up everywhere in the years following independence, but now the government places severe restrictions on mosque building, as independent non-state controlled Islam is a target for a government hostile to everything outside state control. Tajikistan’s proximity to Iran and Afghanistan makes it vulnerable to Islamism. BISHKEK, Kyrgyzstan — One-hundred-thousand Christians are murdered because of their faith each year. 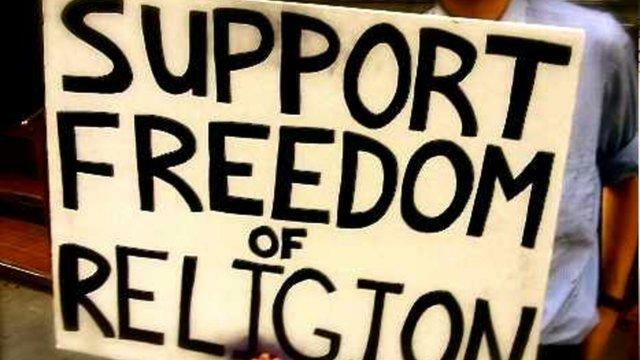 In many cases, governments are to blame because they pass laws that restrict religious freedom. Recently, CBN News gained exclusive access to a gathering of secret believers inside a former Soviet Republic to get a close-up look at what life is like for Christians who face daily persecution. The setting in the mountains of Kyrgyzstan could not have been more ideal. For a few days Vitaly and a handful of Christians gathered in a secluded villa tucked away in the mountains about a two-hour drive outside the capital city Bishkek. “We worship, pray, and strategize how to effectively share the love of Christ in our countries,” Vitaly said. CBN News cannot show you their faces or reveal their real names for security reasons, but in a room inside a secret getaway are underground believers from Kyrgyzstan, Kyrgyzstan, Kazakhstan and Tajikistan. All are former Soviet Republics in Central Asia experiencing a rising tide of hostilities against believers. They are members of a Christian ministry that’s reaching young people in the former Soviet Union. “It’s practically impossible to openly share about Jesus Christ. Doing so will get you beaten, arrested, or killed,” Vitaly warned. But that has not stopped Marat, a youth leader from Uzbekistan, who said last year was a difficult year for him. Doud is from Kazakhstan, the largest of the five Central Asian countries. There were no Kazakh Christians in 1990. Today there are about 15,000. But strict religious laws make it difficult for churches to register. “According to our law you cannot attend church until you are 18 years old. That means we cannot hold youth meetings, discipleship classes or Bible study,” Doud said. Firuz is from Tajikistan. He gave CBN News exclusive access to home video of his secret house church that was smuggled out of the country. The meetings are small and typically held in a believer’s home. “The people in this video know exactly what’s at stake,” Firuz told CBN News in an undisclosed location. 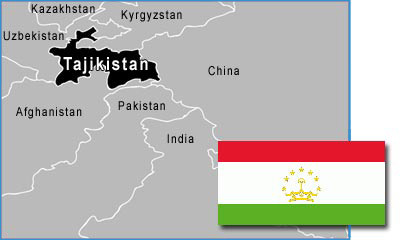 Seven million people live in Tajikistan and only 1,000 are Christian. Religious freedom exists in all five countries under the constitution, but barely. While Islam is the dominant religion, a more radical expression is taking root in Central Asia. Dmitry Kabak is a human rights lawyer in Bishkek. He said fear of radicalism has led governments to adopt laws controlling all religions, including Islam and Christianity. “Groups from Saudi Arabia, Turkey, and elsewhere come in with a different interpretation and practice of Islam. That worries the authorities. Some of the radical groups have engaged in terrorist activities,” Kabak told CBN News. Oleg works in remote villages of Kyrgyzstan. He remembers what it was like spiritually after the fall of the Soviet Union. “There was a lot of freedom in the 90s. People could openly share the gospel. But eventually, Islam started to make a move and gain influence,” he said. All throughout the mountain areas of Kyrgyzstan the horse is another popular mode of transportation, especially to get around some of the tough terrain and step hills. For the believers, the mountains are a spiritual oasis because it is an opportunity to get away from the almost daily routine, harassment, and persecution from the authorities and to come together in a safe place, a beautiful place, and to get spiritually energized. “The beauty, the backdrop, (and) the scenery (are) wonderful distractions from (their) daily challenges,” Marat said. “To see Kyrgyz, Uzbek, Kazakh, and Tajik believers in the same place at one time is so encouraging,” Firuz said. After being encouraged, refreshed, and re-energized, the believers must travel back home to the uncertainty of the days ahead. 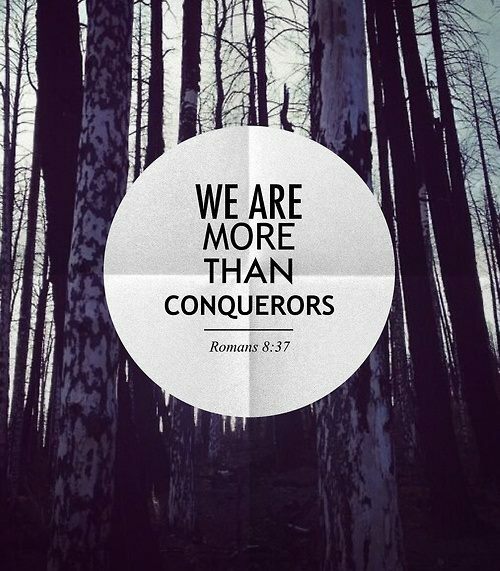 Yet they stand boldly, convinced of a calling to make the name of Jesus Christ known — no matter the cost.